Are you an office agent that’s confused about what a target market is, how to find one, and what you’re supposed to do with it? Don’t worry! I’ll walk you through how to choose your target market, find your target, and collect important contact information. 1) Who am I? Seriously, who are you? Before you begin anything make sure you know who you are. “My name is Bob Stewart and I lease office parks in Southeast Santa Fe.” If you can’t be that specific, you need to be. Consider this your intervention. 1a) Choose a specialty within the “office” category. This can be either leasing or sales (you should only choose one), or types of office buildings like medical, combination retail / office buildings, or live/work buildings. If you hate showing property maybe you should stick with leasing office space for landlords. If you hate landlords, you should stick with showing office space to business owners. If you only had pleasant experiences working with attorneys or accountants, stick with that particular business type. Are you counting? I gave you tons of choices! Specialties: Leasing Property for Landlords / Selling Property for Landlords / Particular Office Building Type / Showing Space to Lessees / Particular Office Businesses (attorneys, doctors, accountants, etc.). 1b) Choose an area to specialize in. Most agents like to choose a radius of 1-5 miles around their office’s location. This cuts down on drive time and travel expenses. However, if someone has already tapped that market, you may want to consider choosing an area you like, such as Northwest, Northeast, Southwest, Southeast, Downtown, water front office buildings, etc. I know what you’re thinking. If I choose these specialties I’ll make myself useless to 80% of the office market. Don’t be nervous! You’re making yourself extraordinarily valuable to 20% of the market. People pay a premium for experts. Choosing an expertise will help you build your name. Still nervous about specializing? If you’re a new agent that’s terrified of specializing, do what I despise and print two business cards. Your real card will say “Downtown Medical Office Specialist” while the other will read, “Office Sales and Leasing.” You never have to turn away business; the purpose of targeting your market is to advertise to the people you want to work for. 2) Who is my Target Market? After you have chosen a specialty, you’ll have a good idea of who your target market will be. Use Reonomy to find building owners in your area. Research a property’s history, see how long they’ve owned the building, and export contact information into a spreadsheet. 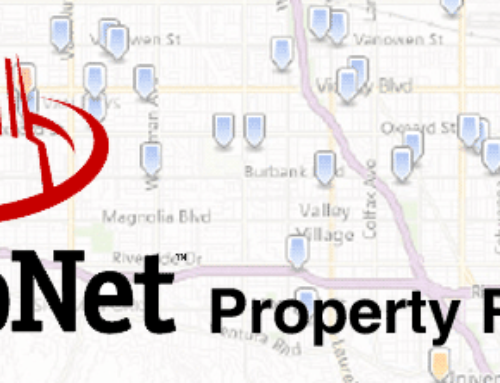 If you want this information for free, an owner of a property is public information; find who owns your target market by using your county’s assessor map. This data is usually available online, if you can’t find it, visit City Hall (or County Records Department) and ask where to find this information. Sometimes you have to use a computer connected to a particular database. The city is required to allow you to search for property owners, this is public information.